Tutoring franchises offer a way to start up a small business with the support of a larger organization. The total initial investment to open a Sylvan Learning center ranges from $179,000 to $305,000, depending on the location selected. Most of the other major tutoring centers offer similar programs, and you may find better terms lower initial investments. Rely on your own sense of how effective that marketing is. See what strategies are in place and evaluate them yourself. Yes, $40 million is a lot, but only you can decide if the marketing would be effective for your business. Kaplan and Princeton Review also spend a lot on marketing for their branches. (In fact, Kaplan sends me a postcard nearly every week--I have no idea why.) Mid-sized franchises, such as Kumon, may spend less--but they offer specialized services (Kumon in reading and math) in high-demand subjects. You'll handle the business end of running your center, but you and your staff will need specialized knowledge in tutoring. Even if you are an experienced educator, you may not have taken courses in working with students one-on-one. 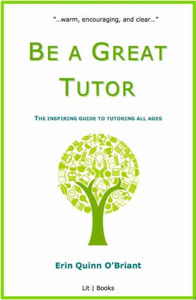 I hope my book, Be a Great Tutor: The Inspiring Guide to Tutoring All Ages will be of help. It's quite affordable--just $15 per copy--and offers the broadest student-centered tutor training available.